With many thanks to the crafters of Norfolk, and further afield, we’d like to extend a heartfelt thanks as we did reach the 15500 poppy total. 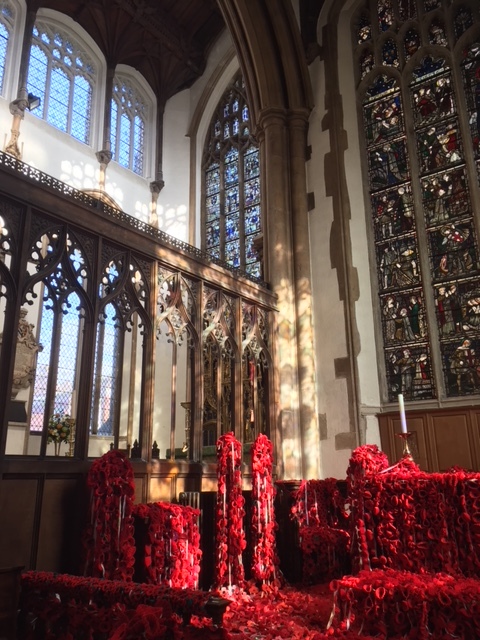 Thanks to the generosity of St Peter Mancroft Church, all of the poppies have been displayed together from 22nd October until 29th October 2018. 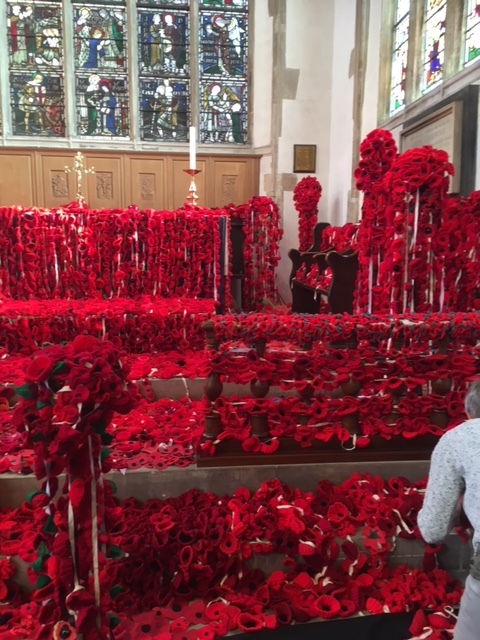 After this the poppies will be split into smaller groups and sent on to all of Norfolk’s libraries and mobile libraries for display around the 11th November 2018. The 4400 poppies representing the fallen of Norwich will be used in displays in the Memorial Garden as part of Norwich City’s Armistice commemorations. Again thank you to all who made poppies or asked others to help us. As a final project to mark the 100th anniversary of the 1918 Armistice we are launching a craft project to remember the 15500+ people who died as a result of WW1 and are listed on the county’s war memorials. Between now and September 2018 we would like the people of Norfolk to help us make these poppies so that they can be displayed together in October 2018 in Norwich then split into smaller displays which are housed in the county’s libraries for November 11th 2018.